I always get asked for recommendations for baby gifts and I feel like over the last few years my recommendations have been getting stale. Yes blankets, insulated lunch bags, backpacks, registry items are always great, but I really love recommending unique items that a family wouldn’t necessarily buy for themselves. I was recently introduced to Little Monkey Designs and after scrolling through their web page seeing all the great items they had to offer, I was intrigued as I thought all their items would make amazing gifts and wanted to review one or two … well … here I am to introduce all of you to Little Monkey Designs because I am now a HUGE fan and so will you! The first thing on the website that caught my eye were the personalized pillows, something you wouldn’t necessarily buy for yourself, but would make an amazing gift. As much as I love the home decor family pillows, I had to have the personalized birth announcement pillow and had it made with all my oldest son’s information (not picking favourites, but I figured the little one wouldn’t know the difference as this stage in his life, but I am going to have one made for him as well). – Removable pillow cover … just incase you run into a mess!!! – Simply my son loves it and it makes him feel special! 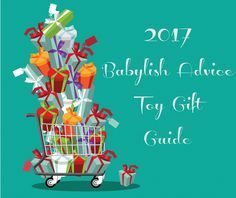 Make sure to check out all the other wonderful gifts that Little Monkey Designs has to offer and if one of the products peeks your interest, use code: babylish at check out to receive 15% off your order.